Wabi-sabi, hygge, lagom – what style of living do you choose? I prefer minimalism to consumerism, authentic things to mass production, cozy and comfortable to just fashionable. 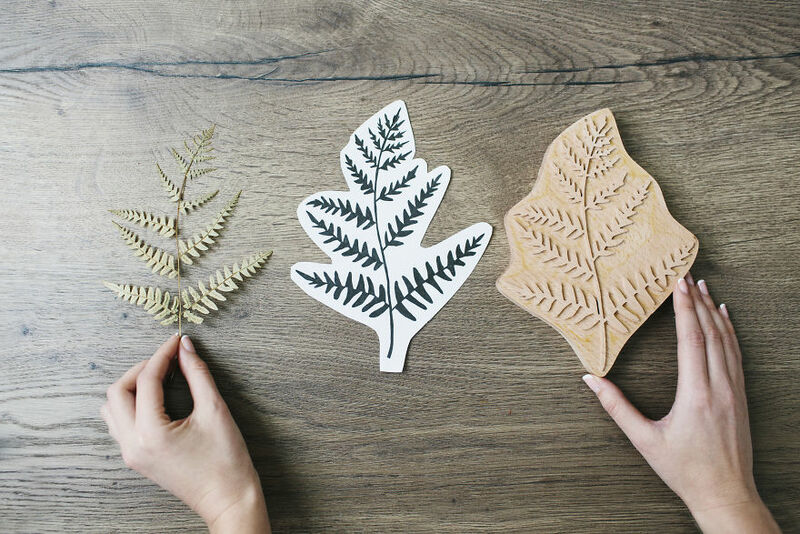 Using DIY home decor objects brings a lot of happiness and makes a positive impact on our planet. 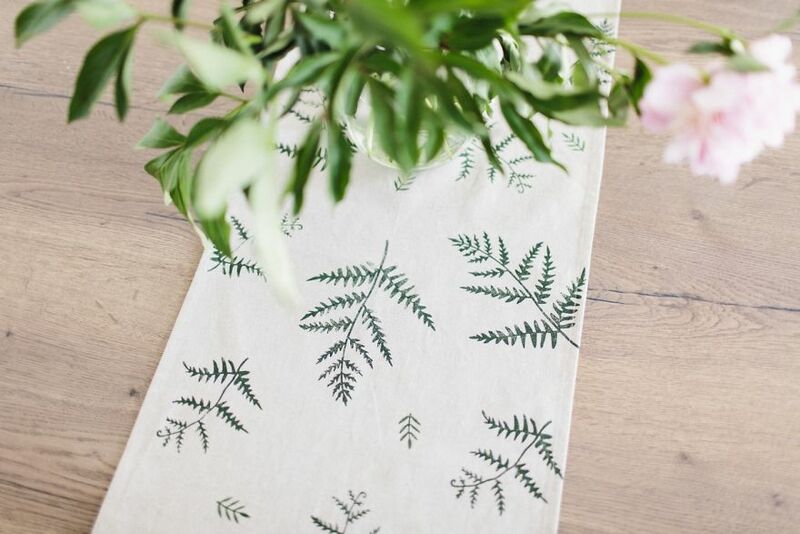 Here is how to create a botanical table runner that will inspire you. 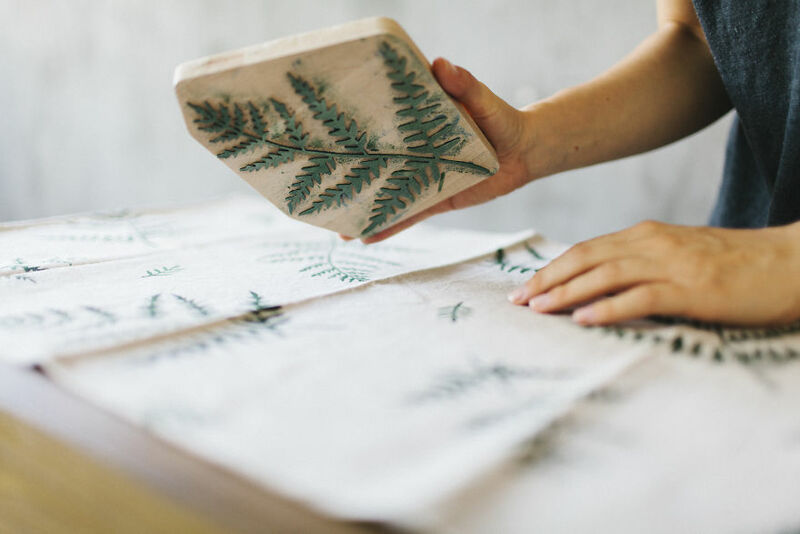 Iana Godenko, a block printing artist from Kyiv and an owner of IstiHome, shares how to create a lovely botanical linen table runner in just 5 steps. 1. 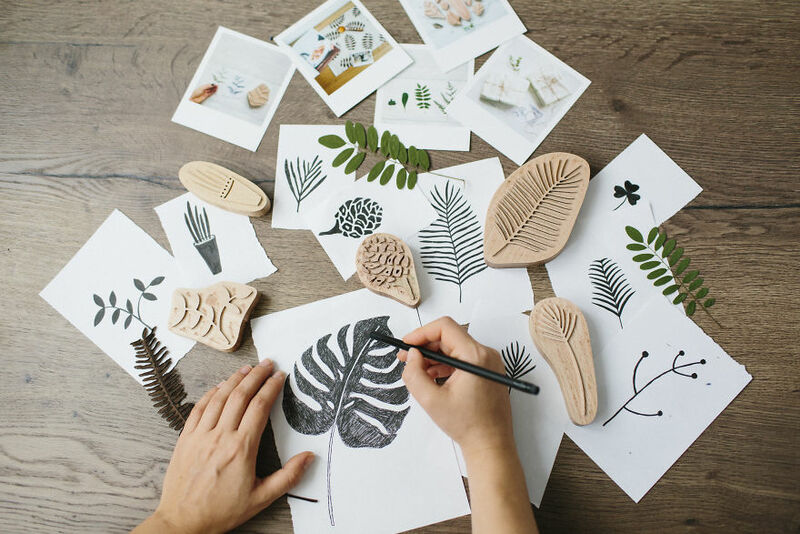 A stamp for block printing (a wooden stamp for making patterns on different surfaces). 2. 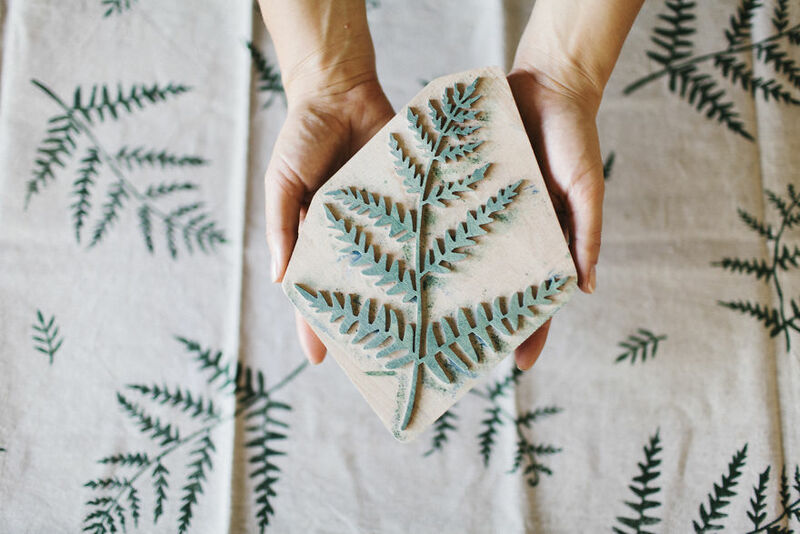 A piece of textile you’d like to decorate (choose natural clothes, like linen or cotton). 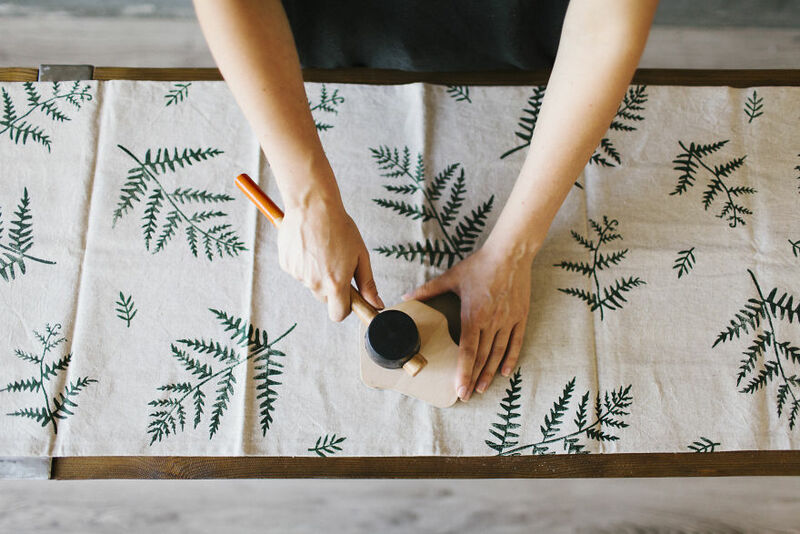 Before starting, wash your table runner, let it dry, and iron it. Apply the acrylic paint to the stamp evenly. 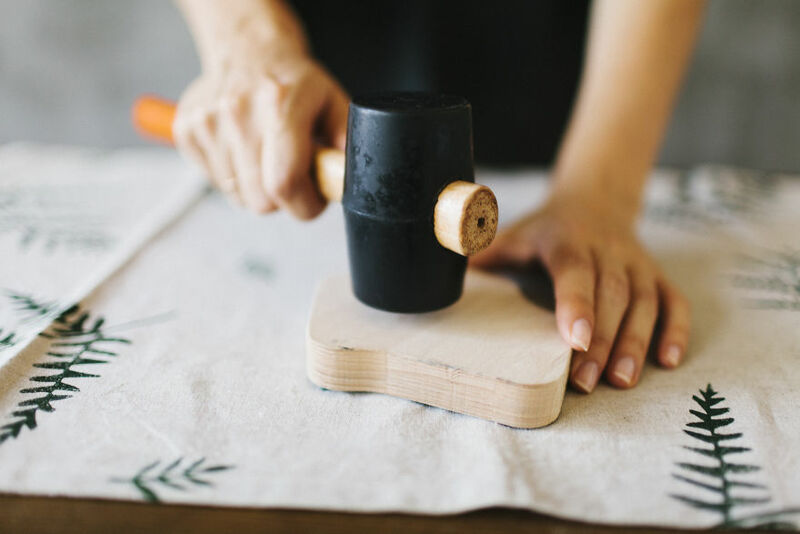 Take the stamp and press it down onto the fabric. Make the pattern you like. Press the stamp evenly, so the pattern is strong everywhere. 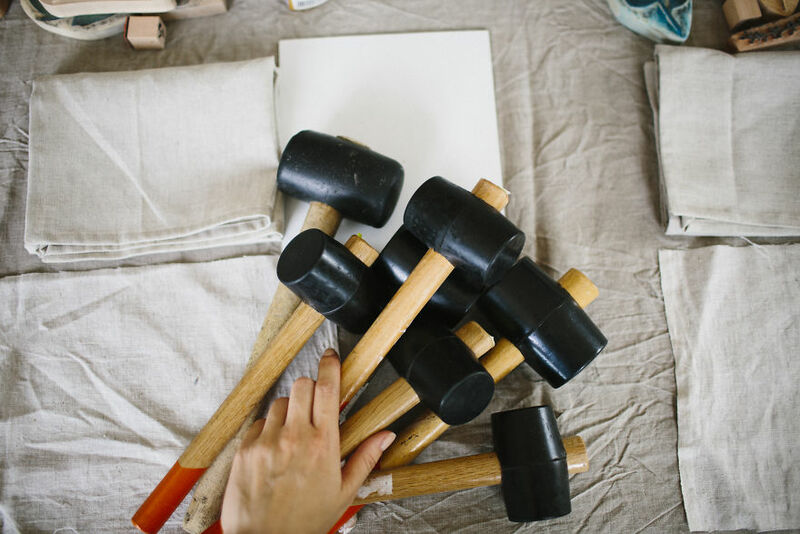 You can use a rubber mallet for that. Voila! Do you like the result? You can create interesting patterns, combining different prints. Fix the created pattern by ironing. Now it’s ready to use. 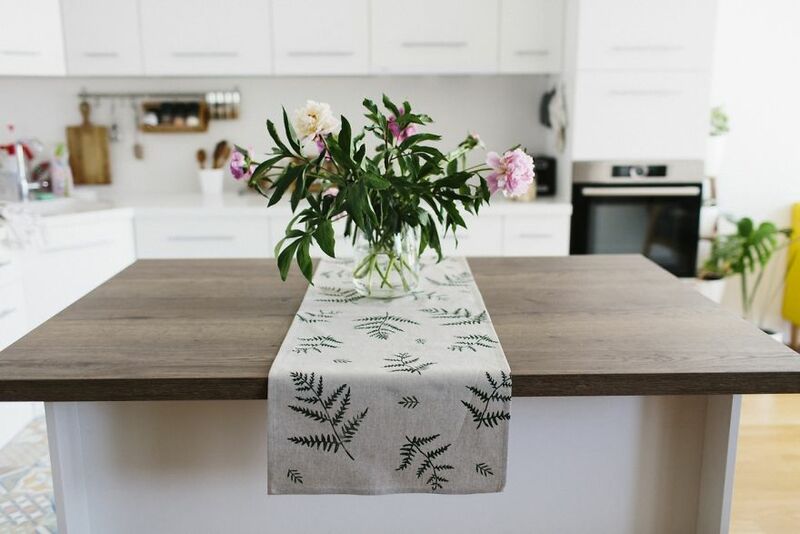 Cover your table with this table runner, make some tea or coffee, bake your favorite pie, and invite your friends for a lovely dinner. Have a great time! P.S. If someone spills some tea or jam during your tea ceremony, remember to wash your table runner at 30 degrees.